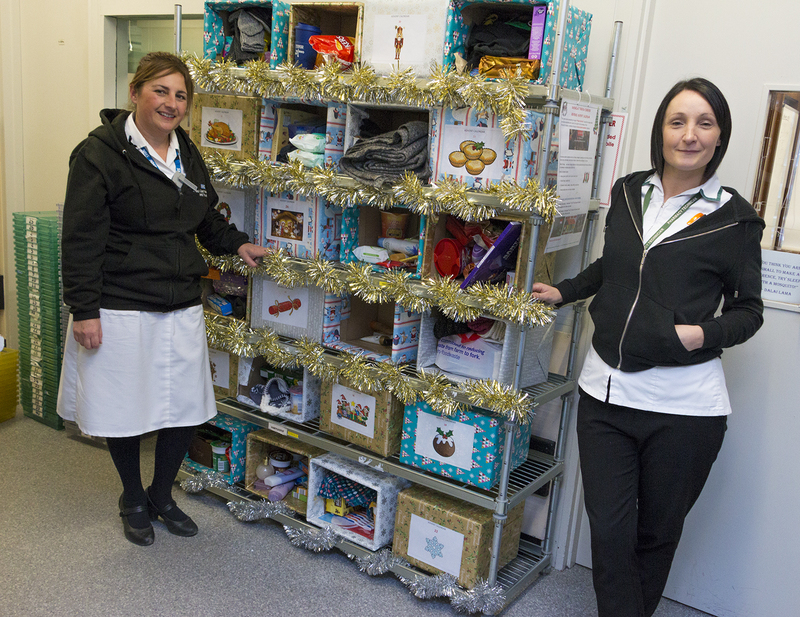 Pharmacy staff are going the extra mile to help Hull’s homeless this year by collecting warm clothing and food at Hull Royal Infirmary and Castle Hill Hospital. Staff are donating items to a reverse Advent calendar every day until December 24 to make a difference to the lives of homeless people living on the city’s streets. With temperatures plunging below zero this week, hats, scarves and gloves were already handed over to “Raise the Roof”, a Hull project providing essentials and a bed for the night for homeless people. “Raise the Roof” was selected because senior pharmacy assistant Julie Kirke, based at the dispensary at Castle Hill, volunteers for the charity every week. Boxes labelled 1 to 24 were set up at the dispensaries at both hospitals and staff were encouraged to buy an extra item along with their usual shopping to donate to the charity. Senior pharmacy technician Anna Steele said staff working in the dispensary at Hull Royal had responded well to the appeal. She said: “We’ve got posters on the wall about what people can bring in so they’ve been bringing in hats, scarves, gloves, food and toiletries. Deputy chief pharmacist Paul O’Brien, based at Castle Hill, said this was the first year the team had held a reverse Advent calendar collection after raising money for Hull charity Paul for Brain Recovery. Paul said: “There has been an excellent response from staff to the appeal. Our boxes are already overflowing at Castle Hill and we’ve still got 10 days to Christmas Eve.